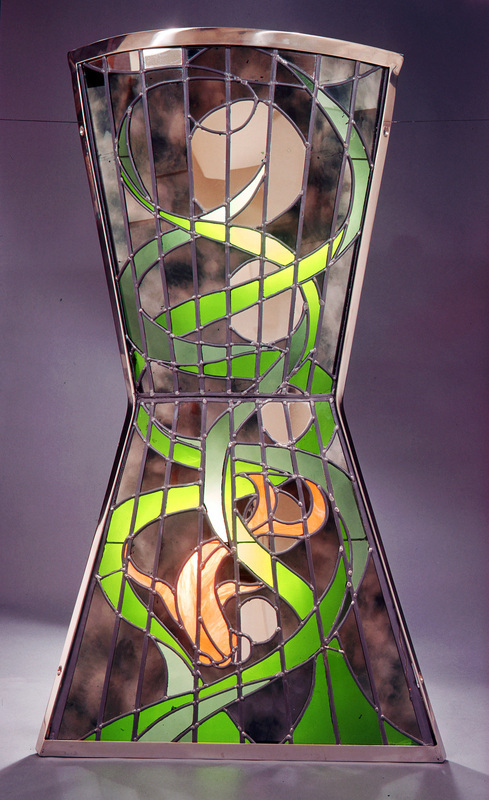 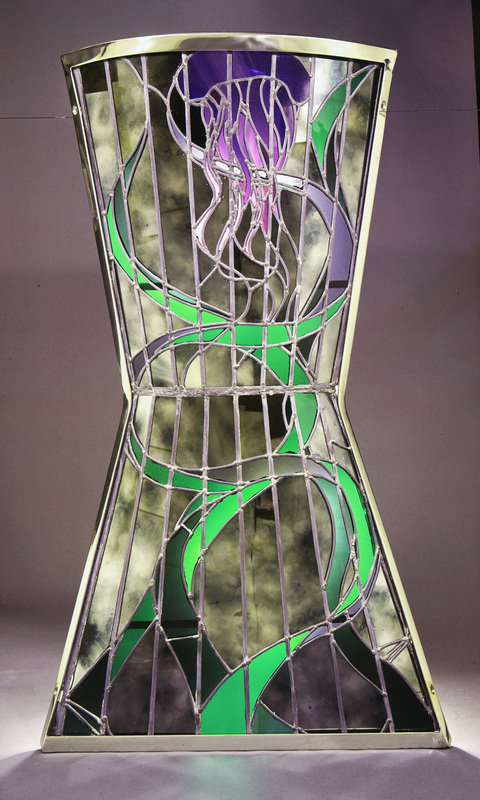 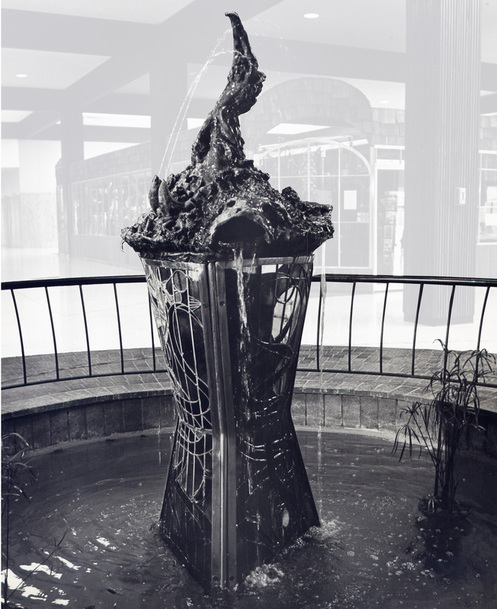 The base of this fountain is comprised of three stained glass panels set into a stainless steel pedestal framework holding the bronze sculpture on top. 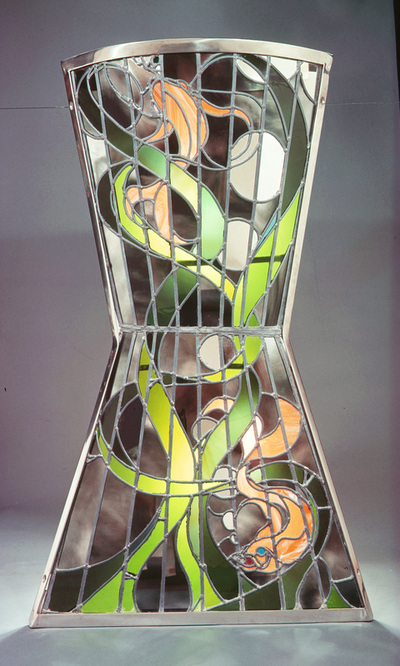 Two of these were commissioned, one for the Merle-Hay Mall in Des Moines, Iowa, the other for the private collection of Len Lamensdorf. 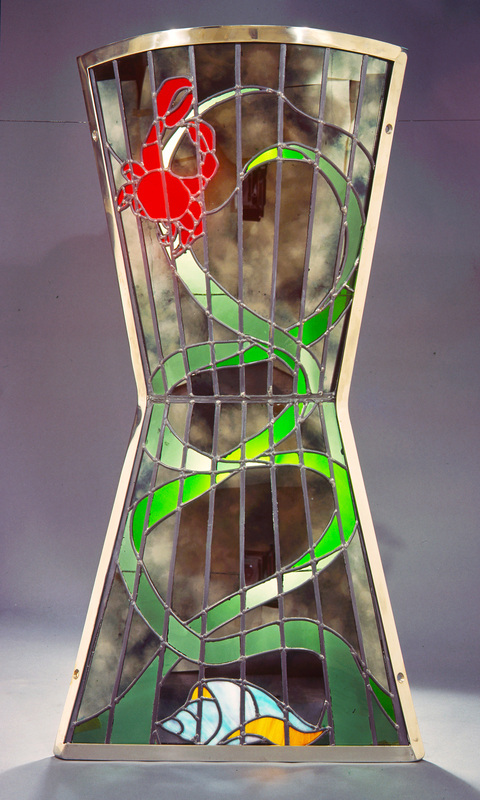 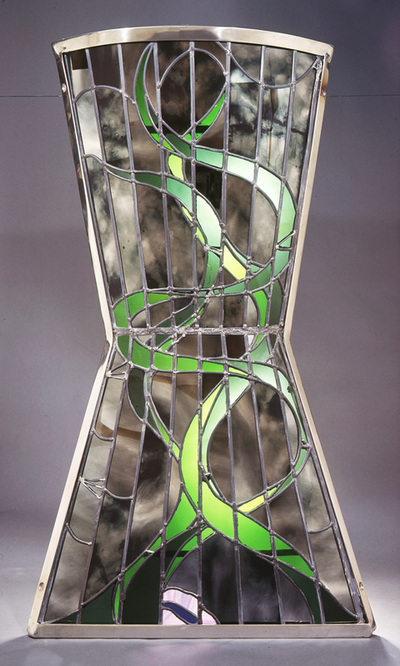 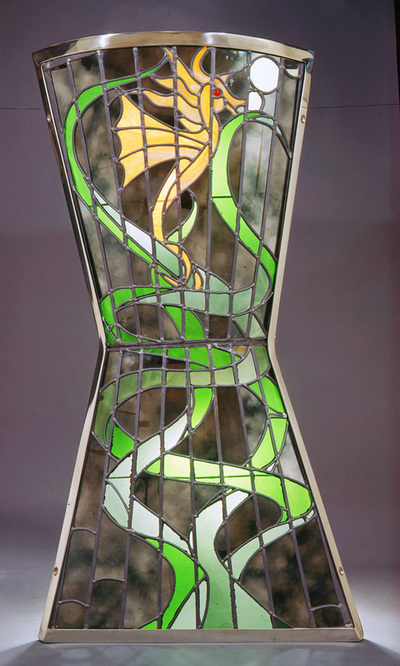 Each had three of the stained glass panels, total of six, shown below. 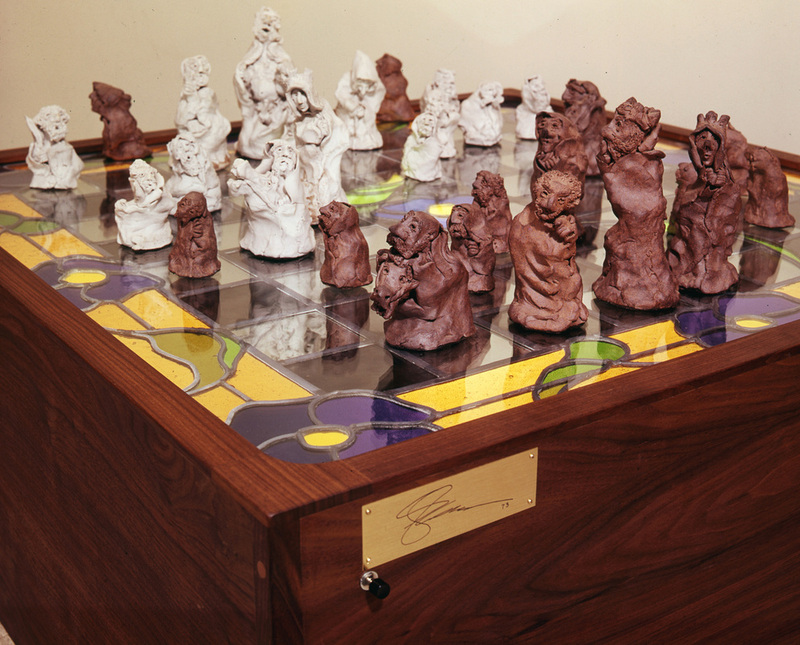 Each piece of this sculpted stoneware and porcelain chess set is a one-of-a-kind. 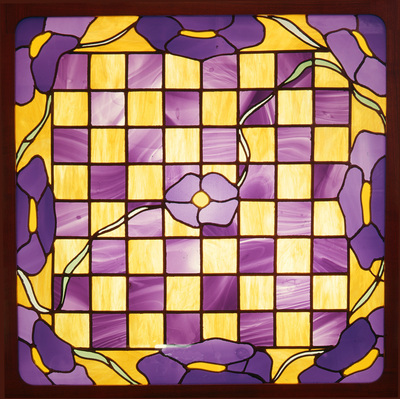 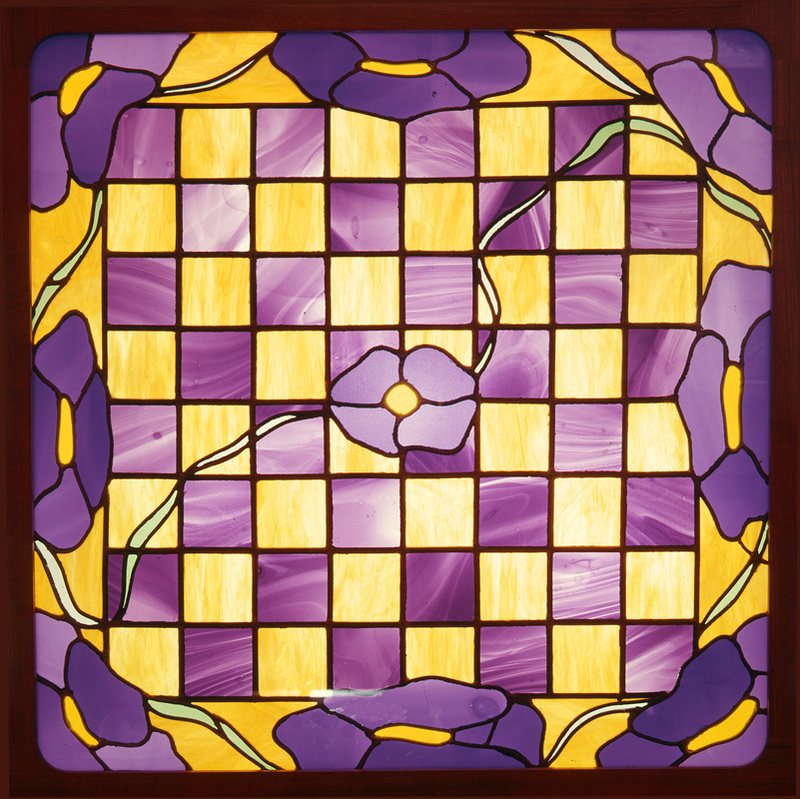 Each board incorporates a 36x36" stained glass panel set into an interior lighted hardwood coffee table . 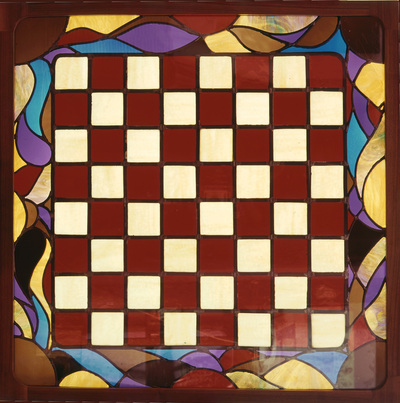 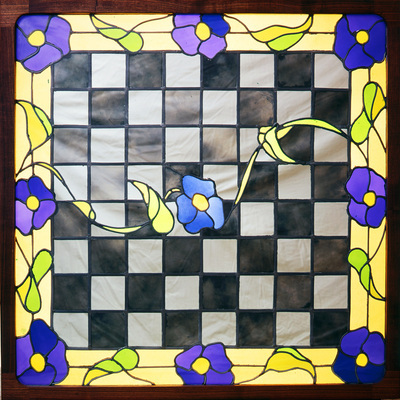 One chess set and three stained glass boards were made, all of which are in private collections.